Asbestos is a natural mineral imported from Canada, Russia and South Africa. Due to its strength, cost and heat & fire resistant properties, asbestos was added to thousands of different types of building materials. This was, until it was discovered that asbestos was toxic and exposure to it could result in several serious diseases. It is estimated that over 4 million domestic and non-domestic buildings contain asbestos. 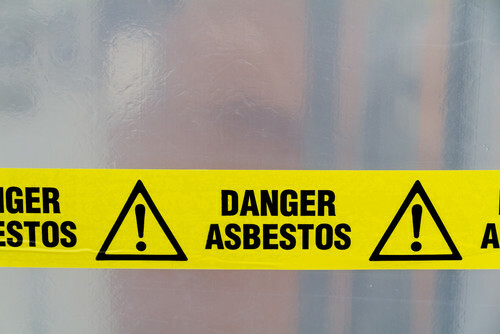 So, what should you do if you discover your building contains asbestos? Firstly, you must stop work immediately and remove all staff from the area. The space then needs to be cordoned off and warning signs erected. Once asbestos has been confirmed, you need to contact a HSE licenced-contractor, to remove the asbestos carefully and safely. Asbestos is incredibly dangerous so MUST be removed by qualified removal professionals. Asbestos removal contractors can accurately identify any asbestos deposit, and have been fully trained to understand the dangers that can occur from removing the toxic substance. Any stray dust can cause serious health concerns. They will also use appropriate tools, equipment and safety gear. Once the removal has taken place, a professional will ensure that everything has been removed and that your property is safe and clean. They will also make sure that the removed asbestos is secured and disposed of safely and legally. At MSL we have highly skilled and fully accredited tradespeople who can remove any asbestos safely, with minimal disruption to your business. If you would like to discuss your asbestos removal needs further and find out about the range of maintenance services MSL offer, please hesitate to call us on 0333 1234 450.